There’s barely enough time in the day to get things done. I’ve got TV shows to watch, series to catch up on, Facebook and Twitter to check and update. I stopped the other day to evaluate what is it that I’m feeding on – figuratively. I’ve been trying to improve my diet regarding food, so I also realize that there’s a lot of things that I watch online and on TV that is not a lot of nourishment. Don’t get me wrong, I love The Walking Dead and Game of Thrones, but they started for me as reading material. As much as I enjoy visual stimuli, imagination comes stronger through reading. 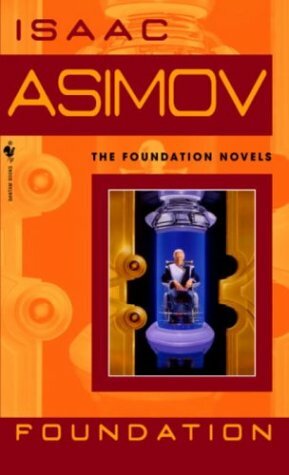 Instead of picking something via my Nexus 7’s Kindle app, I decided I wanted to go old school and started reading Isaac Asimov’s Foundation series again. I am not sure I ever finished it, so I restarted from the start. Do I really have to recommend this series? Well… If you’ve never read it, you really should. I never quite enjoyed Frank Herbert’s Dune, J. R. R. Tolkien’s The Lord Of The Rings or H. G. Wells’ War of the Worlds… I enjoyed the genre they inspired. Is it blasphemy on my part? Probably. It’s really, really heavy reading. The Foundation is not necessarily light reading. But it’s amusing. If I might take the analogy of feeding to extremes, it goes down easy and it’s delicious to consume. Asimov writes characters with charisma and personality as their main trait – not their station or their power. Less godlike, more human. I have a bit of a problem with TV series like Breaking Bad or Dexter, because they seem to be high on salt. Ok, perhaps that’s a stretch – what I mean is that they seem to carry too much of dark matter with them. Plus neither qualifies as sci-fi although both feature geek-type lead characters. I did get hooked on Dexter but I stopped around the fourth season. And so, I returned an old guilty pleasure of mine also from the BBC. It’s old school on a new classroom. I have started on Dr. Who – the series that started up again on 2005 with Christopher Eccleston as the Ninth Doctor. Of course, more will come… David Tennant takes the mantle as the Tenth Doctor and- ok, that should wet your appetite for more.